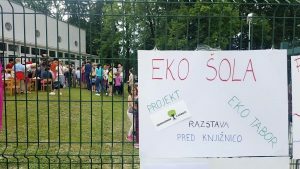 Craft lessons, home economics, science lessons… During all these lectures, students of Preserje pri Radomljah Primary School in Slovenia were learning how to eat responsibly and locally, without palm oil. 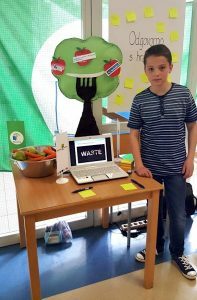 The success of the We Eat Responsibly project was derived mainly from the will of the students who voluntarily joined the Eco-School Committee and divided many tasks and challenges among themselves. They proved that they were able to professionally work in several groups under their mentors. During the Home Economics lessons, the issue of palm oil was discussed among 6th grade students. They created informational posters and watched educational videos on Youtube. After that, during Natural Sciences lessons, they learned about the problem of palm oil from the perspective of biodiversity. 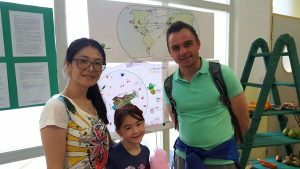 They also discussed the negative impacts that imported food products have on environmental pollution, which helped them understand the importance of local and seasonal food that do not cause so much harm. During Craft lessons students created their own noticeboard with the „We Eat Responsibly“ project logo and used this noticeboard for a little experiment. They measured food waste after their morning snacks and lunch and put the results on this noticeboard. 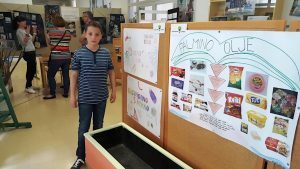 During all these lessons they examined the complexity of many issues – of food waste, palm oil, food origin and meat production. Students themselves studied the origin of products available in the supermarket and analyzed whether these products contained palm oil. Furthermore, they met with and talked to local food producers and wrote a final research study. 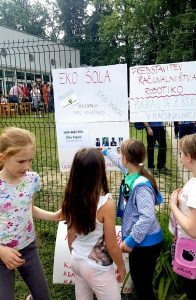 In addition, pupils participated in an Eco Camp, where they managed to create a functioning mobile garden for their younger schoolmates so that they could grow their own fruits and vegetables. They also built a mobile version of the garden that they were able to move from one classroom to another and literally compare the fruit of their work. Besides that, mobile gardens were also very useful for Natural Science lessons, cultural events or other interesting performances. 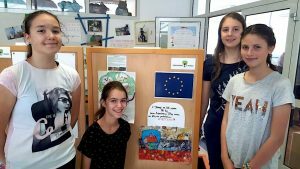 Likewise, pupils were very creative in a competition on the topic of Let´s eat less meat! They managed to create their own ideal food pyramid with local food instead of imported. 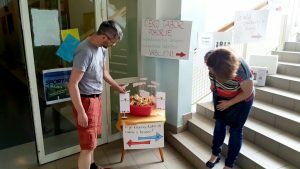 The We Eat Responsibly project concluded with an Eco Day where students themselves proudly presented their results and successes, not only to their teachers and parents but also to all residents. Everybody was so proud of them!